My first experience in the beautiful, Romanian village, Baia de Fier. My junior year of college, I applied to attend a six-week environmental sustainability seminar that took place in Romania and was funded by the National Science Foundation through the University of Wisconsin-Milwaukee. 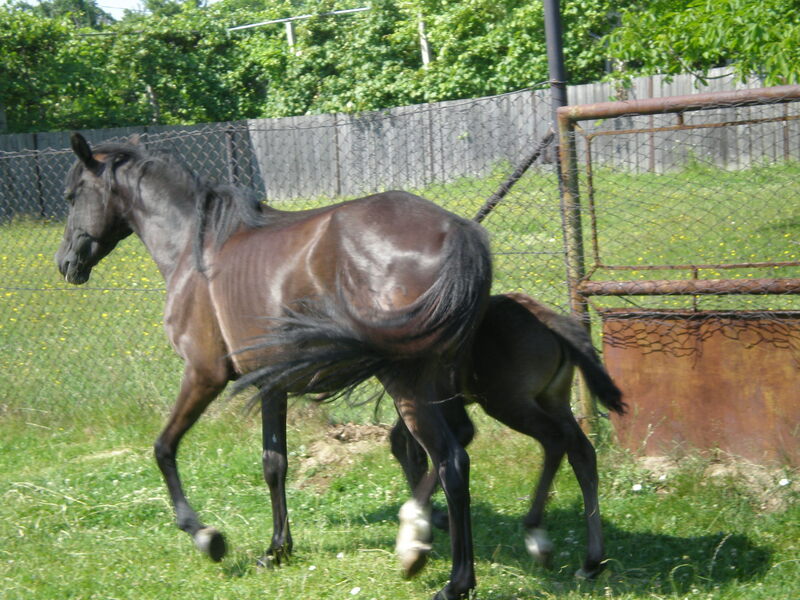 Romania was entering the European Union in 2007 and this posed many challenges to the country’s traditional agriculture and unspoiled environment. We were there to study the transition. 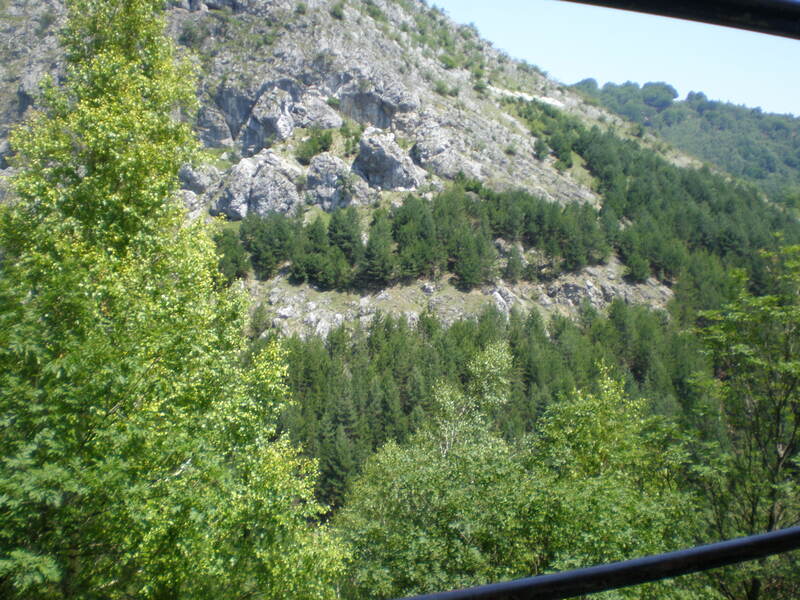 What my 20-year-old brain really heard: I could get an all-expenses paid trip to another country. I certainly got what I wanted, but it ended up being surprisingly intense and rigorous. Decidedly more rigorous than I was prepared for at that confusing stage in my intellectual development, which is not to say that I’ve found my way out of that stage yet. I have to admit that I don’t remember very much about the studies, but I made a few really solid connections, and managed to capture some nice, definitive moments throughout our six weeks of cross-country escapades, as we traveled through Constanta, Bucharest, and tiny villages on the Danube. Half the time I wanted to do jumping jacks from excitement, and the other half I wanted to die. It was a challenge to be thrown in with a group of people I didn’t know, experience serious culture shock at times, and be expected to complete the educational goals of the program, while maintaining sanity. Which not all of us did very gracefully. 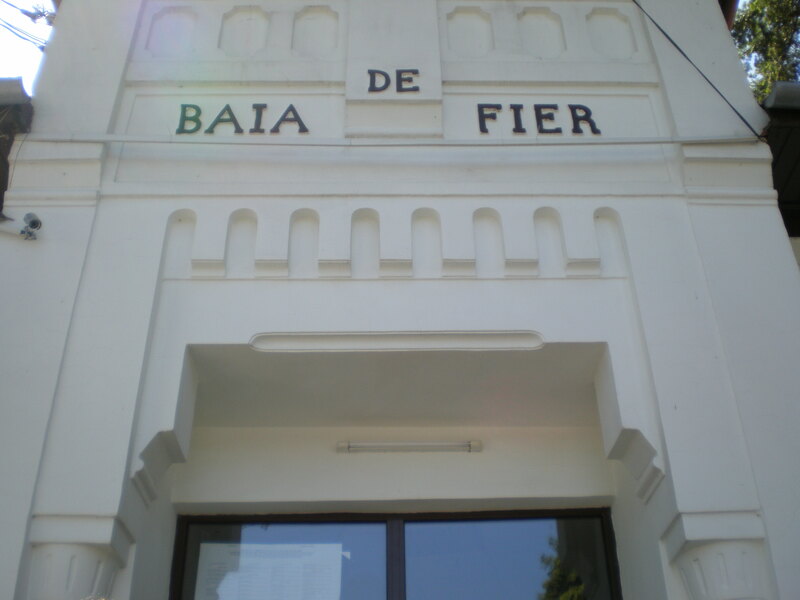 This was Baia de Fier. We were so kindly hosted by the mayor (I think? It’s been a good five years.). Lying northwest of Bucharest, this was my first brush with village life. Unpaved roads, sheds full of farm animals, community tables for meals. It was an opus of hospitality and I remember eating the hearty breads and meats like I’d never seen a plate of food before. We were invited by the mayor to a meeting at the Town Hall, to listen in on the issues affecting villages such as this one, with Romania’s induction into the European Union. 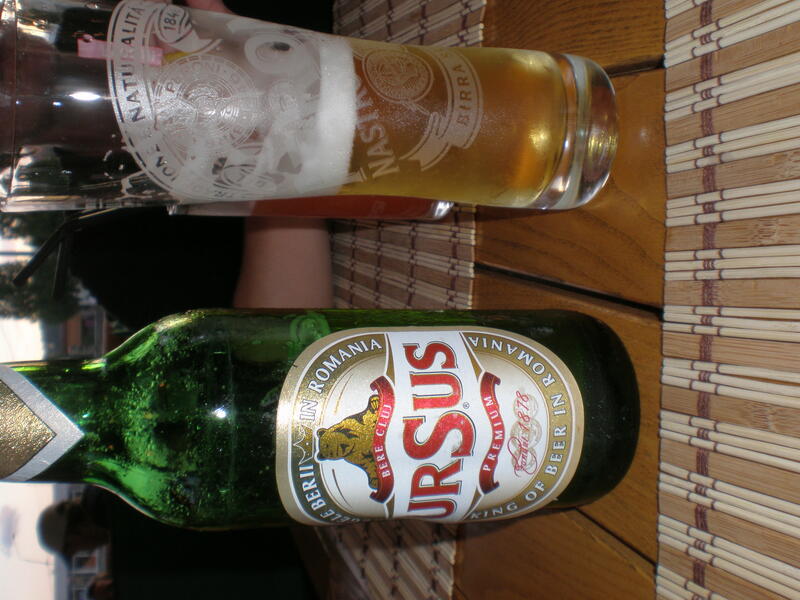 My diet consisted of 40% Ursus, the most popular beer in Romania. Translation: bear. 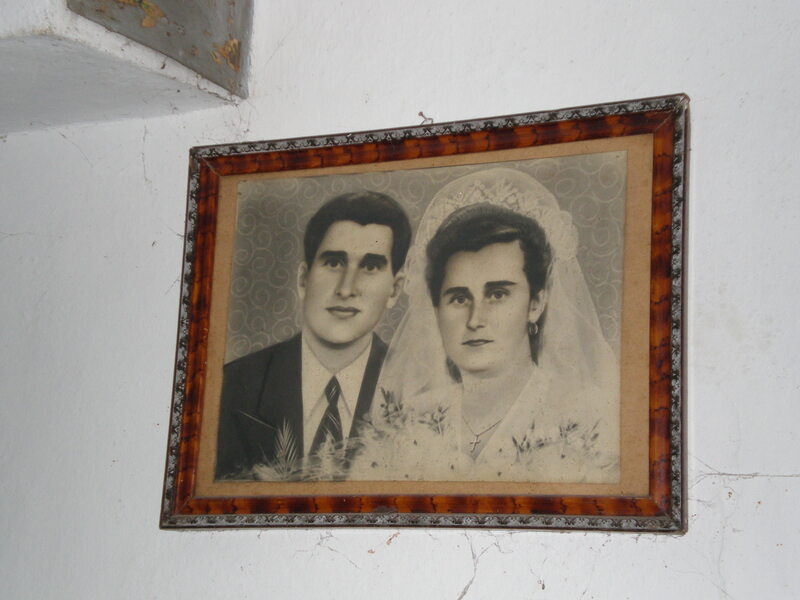 An eerie family portrait that hung, accompanied by a shrine, in the living room. At some time-stamp irrelevant point in our trip, we arrived in an even-more village-y village, called Sfantu Gheorge, in central Romania. For sanitation, there was only an outhouse, and taking a shower meant disrobing in a slim, wooden stall, outside, and often bathing in ice-cold water, while a tiny resident frog sat timidly on a soap stand. After you were done with these morning rituals, you would be welcomed at the long table for strong coffee, farm-fresh eggs, roe spreads, and soft, white bread. To this day, my most vivid memory of Sfantu is sitting at the long table on the porch, and slurping a giant egg yolk into my mouth, as the last shivers of an arctic shower left my body. Sfantu Gheorge marked the place where the Danube delta met the Black Sea. A fishing mecca, specifically sturgeon, with 327 bird species, many of them endangered, a rich communist history, and a salt-of-the-earth, self-made community. We measured Danube chemical levels, took day trips around the village, spoke to locals, and discussed potential hazards of development to the culture and self-sustaining environment of Sfantu.